Power Rangers Megaforce Season 2 Spoilers: Who's Returning? 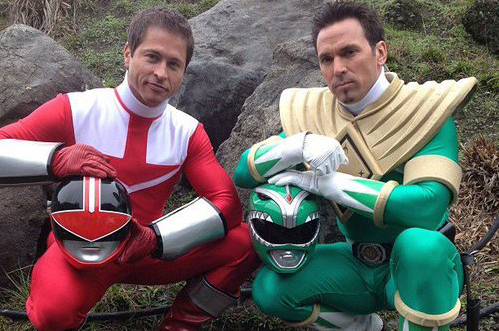 Power Rangers Megaforce Season 2 Spoilers: Who’s Returning? Spoilers for a Ranger reunion in season 2 of Power Rangers Megaforce. Power Rangers Megaforce has been on hiatus for the last few weeks, with no inidication of when it will be back outside of…sometime this year, according to a video message from Saban. But filming of season 2, subtitled Super Megaforce, has kept on trucking, and with it are confirmations of pretty much everything we’ve speculated in addition to some new information. 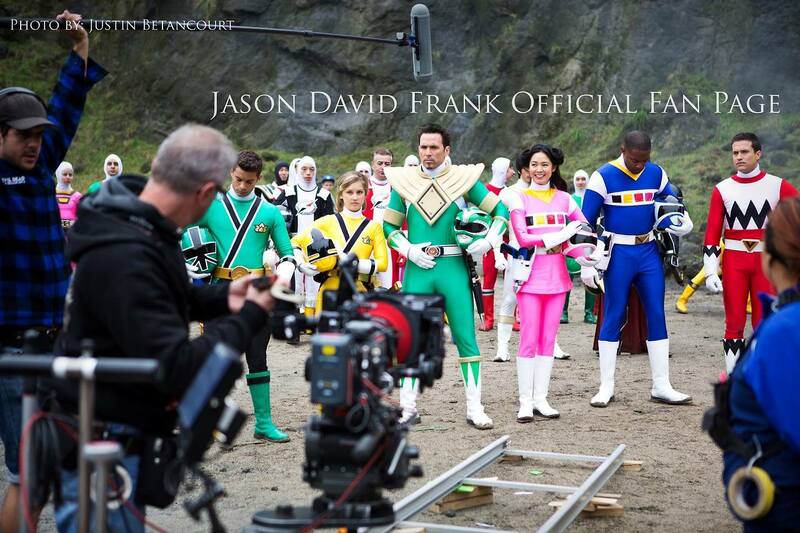 Rangercrew’s Megaforce Cast leaked many of the returning actors earlier this month, but the (as far as we know) final list of returning Rangers was confirmed during the filming of a reunion sequence this weekend. 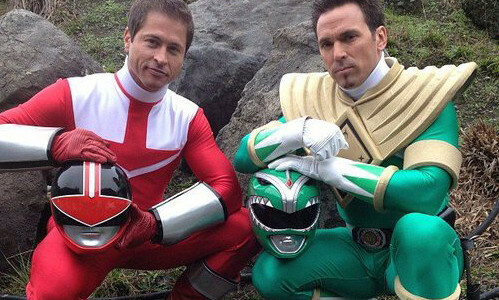 Many of the returning actors confirmed their appearances via social media earlier this week, while Jason David Frank and Jason Faunt (above) posted these very cool photos from the filming yesterday. Exactly how the Rangers fit into the episode or how long it will actually be is still being kept under wraps, but it’s presumably for the final episode of Super Megaforce, which will air sometime in 2014. It’s worth noting that getting some of these actors back was a bit of a coup. Danny Slavin (Leo), for example, had mostly distanced himself from the franchise, outside of a last minute return in the 10-year-reunion episode “Forever Red” in 2002. Meanwhile, actors like Patrica Ja Lee (Cassie) and Melody Perkins (Karone) haven’t been seen in their roles in almost 15 years. 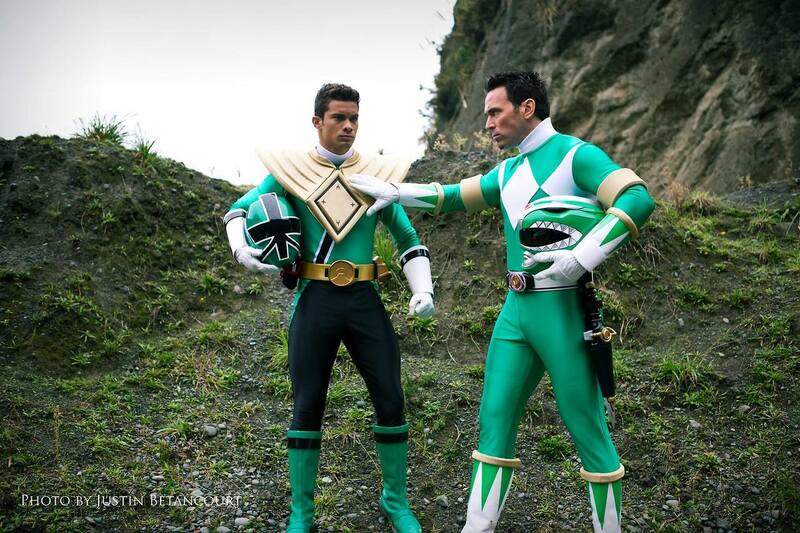 On the flipside, this episode adds another to Jason David Frank’s unrivaled episode count—he will have played Tommy in 225 episodes and two movies, with the character appearing in nine seasons of the show’s 20. It’s admittedly disappointing that we didn’t get any of the original “teenagers with attitude” back, and none of the Disney-era Rangers (Wild Force through RPM) will be in the reunion special, either. But while these Rangers have been confirmed, hints are still pointing to additional surprises featuring past rangers in earlier episodes of season 2. 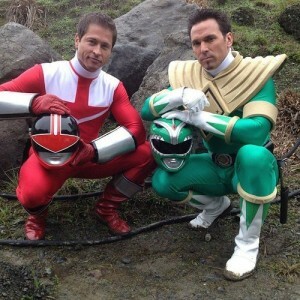 Jason Smith (Red Ranger Casey in Power Rangers Jungle Fury) was spotted on set earlier in the season, as was Alex Heartman (Red Ranger Jayden in Power Rangers Samurai), so it’s likely that we’ll see at least a few other Rangers sprinkled throughout the season. There’s still a long way before we even start season 2 of Megaforce, though. As soon as an airdate for season 1’s return from hiatus is announced, we’ll post it here—so keep an eye out! Power Rangers Megaforce airs Saturdays at 1 p.m/12c on Nickelodeon.